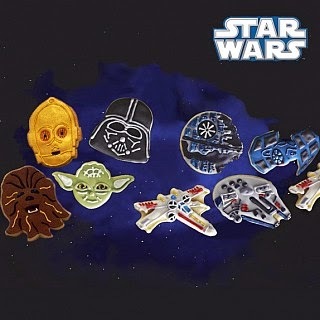 Today only over at 13Deals.com you can get this Star Wars Cookie Cutter 8 Piece Set for ONLY $9.99 (Retail $24.99)! 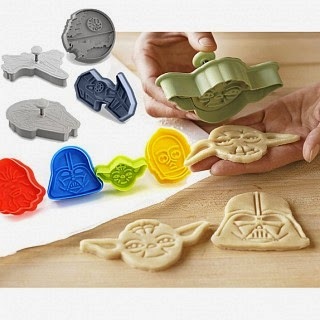 Make cookies in the shape of awesome Star Wars characters and ships with this StarWars cookie cutter 8 piece set! Includes Darth Vader, Yoda, C-3PO, Chewbacca, X-Wing, Tie Fighter, Death Star and The Millennium Falcon! These cookie cutters not only cut the shape out but also have a plunger that presses in the details.